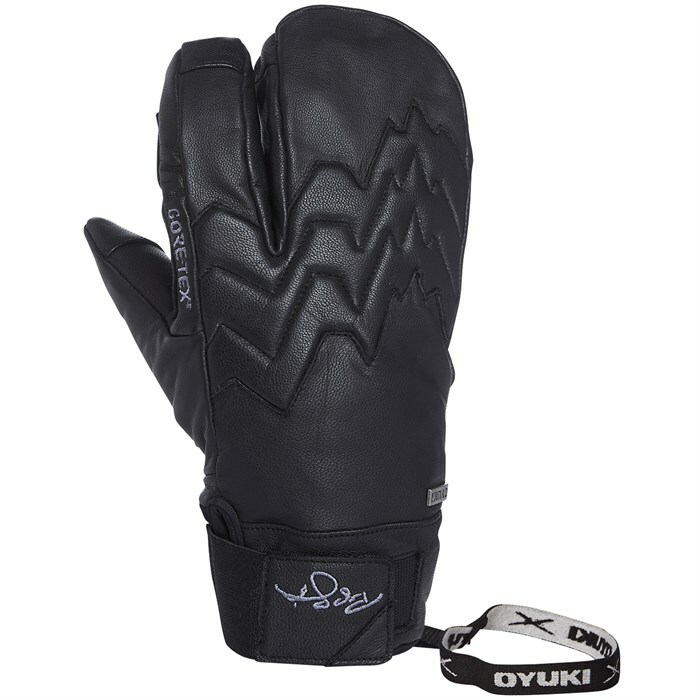 If you want to add a little pro mojo to your ride then grab a pair of the Oyuki The Pep Trigger Mitts. Designed by freeskiing legend Pep Fujas, these goatskin leather Gore-Tex® hand protectors are just what you need for this season's adventures. With PrimaLoft® Gold Insulation to keep you toasty and a trigger style grip for a bit of extra dexterity, you'll ride into the burliest winter weather with a smile on your face. Goatskin Leather  Super soft, maneuverable leather, which has an incredibly comfortable fit and an outstanding level of durability. GORE-TEX® Membrane  Gloves engineered with GORE-TEX® membranes are durably waterproof, windproof and breathable-guaranteed. PrimaLoft® Gold Insulation | 200g  Premium insulation offering warmth without bulk as well as hydrophobic properties. PrimaLoft® Gold Eco Grip | 80g  Provides a non-slip grip for a stable hold. Tricot Lining  Super soft, anti-pill, hygienic lining material.